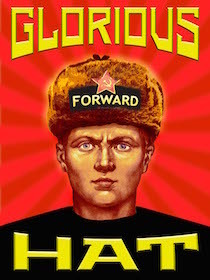 Teach a child the hard-learned lessons of Socialism early, and you've given him or her a full life of clarity. If this quote is really from him, then his father deserves the credit. The fact that his father was just elected President says America will be in good hands in the coming years. That's a quote from Winston Churchill. Thanks Favill. It seemed too good to be true. 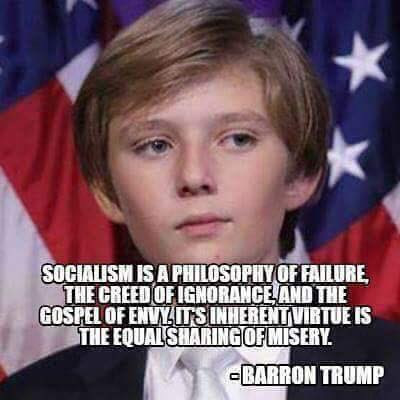 I'm hopeful young Barron will have his own quote one day that is just as profound.